Homemade sodas pack a lot more flavor than their mass produced, super sweet counterparts. When I was growing up, we made root beer with Hires extract. You had to drink it fast because the bottles would blow up from the baking yeast and sugar that was used to carbonate it. 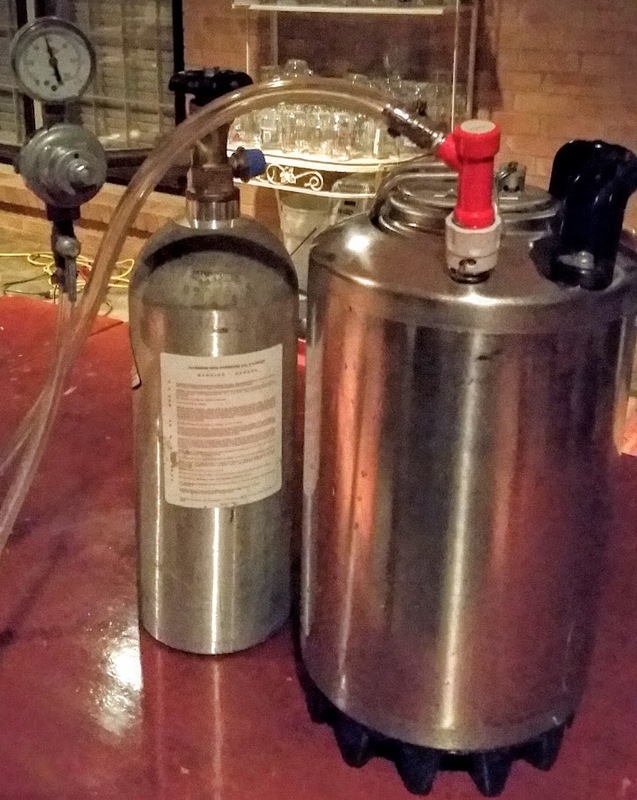 Being a homebrewer, I now have kegs and CO2 to force carbonate homemade sodas. I still make root beer from time to time, but ginger ale is really popular both in our home and with guests. I like to have it on hand for parties as a delicious, non-alcoholic option. Ginger ale needs to have some bite to it. 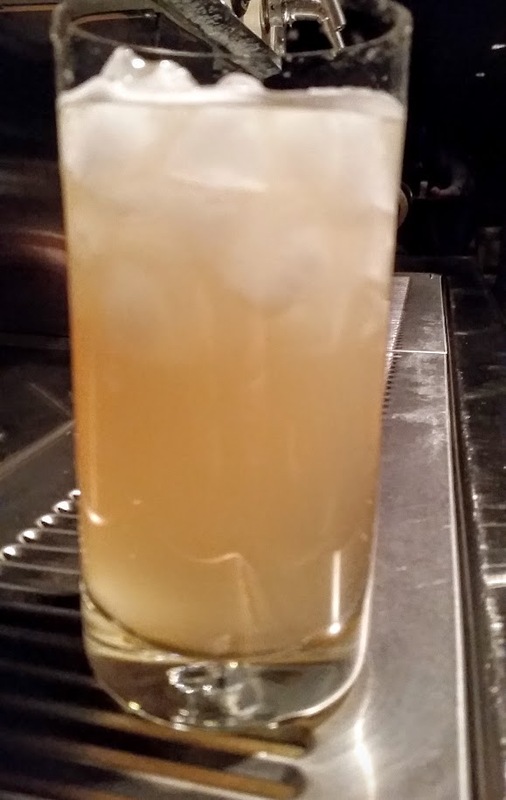 Fresh ginger ale is an eye opener. 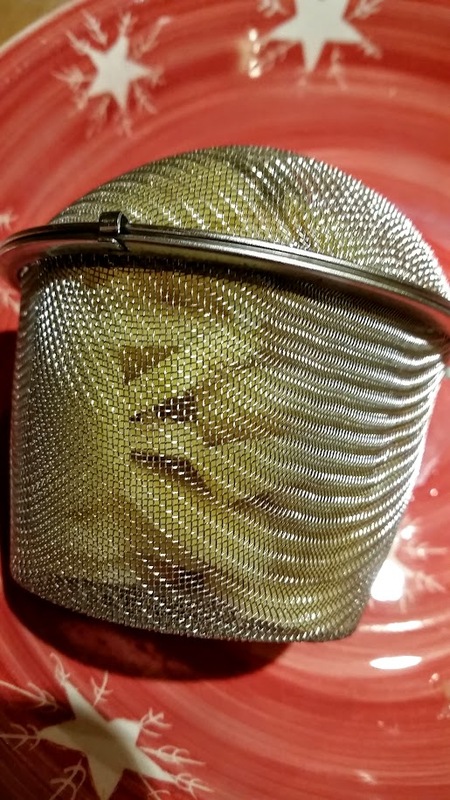 I found a way to infuse a lot of ginger flavor by steeping it in the sugar syrup, as well as coarsely chopping more fresh ginger and putting it directly in the keg in a muslin bag or tea infuser ball. If you like it extra spicy, you may add a sliced habanero pepper to the keg, too. Habaneros give a bright tropical flavor. Few will identify the flavor as a hot pepper because it will integrate so well with the fresh ginger flavor. If you like other flavors, you may add them as well. Lemon, lemon zest, lime, tamarind, cranberries…whatever you like. When you make soda from a purchased concentrate, the directions typically call for five pounds of sugar for five gallons of soda. That is way too sweet for my taste. I use two pounds of cane sugar and one pound of our own honey for five gallons. Honey has twice the sweetening power of sugar, so this is plenty sweet. Today, I am making three gallons of ginger ale. I am leaving out the habanero this time. To a gallon of water, I add 1.1 pounds (500 grams) of honey. I’m skipping the cane sugar. I have two ginger roots about the size of my hand. I peeled them both. 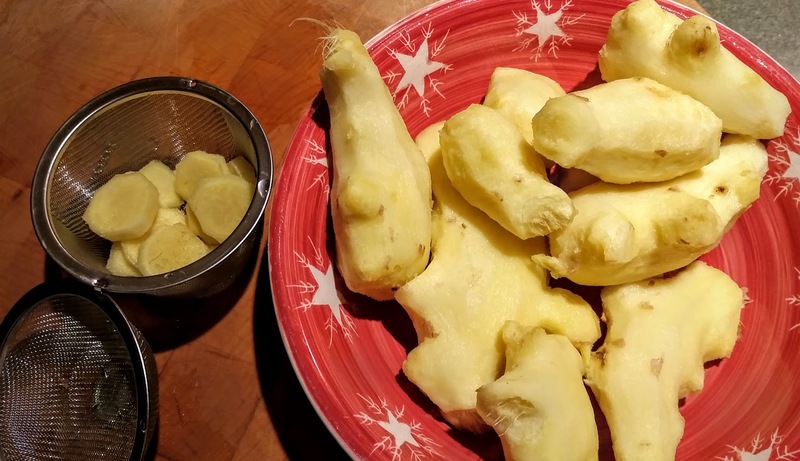 The easiest way to peel ginger is to just scrape it with a spoon. One root is chopped, and the other is sliced in rounds. The chopped ginger goes in the pot with the honey and water. 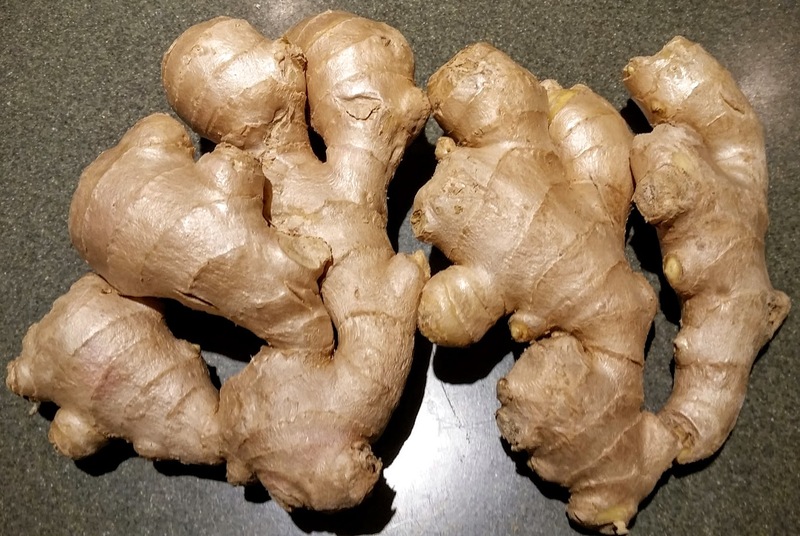 This ginger is chopped to increase surface area exposure in a short time. 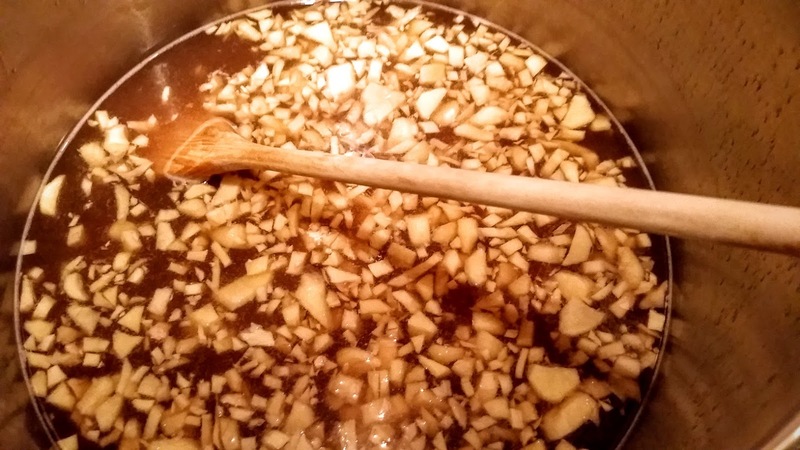 Because it is heated a little, it will have a slightly different flavor than fresh ginger. We will remedy that in a bit. Heat this on low to just dissolve the honey and steep the ginger a bit. Once the honey dissolves, turn off the heat and let the pot sit until it is cooled. Strain out the ginger and pour the mixture into a three-gallon soda keg. Put the sliced ginger in a muslin bag or a large stainless steel tea infuser ball. This ginger is sliced so little bits of ginger do not swim around in the ginger ale like sea monkeys and clog up the keg fittings. Drop the package of ginger into the keg. Top the keg with cool drinking water. Put the lid on the keg. Hook up a CO2 tank and jack the pressure up to 30-40psi. Gently shake or rock the keg to mix in CO2 and carbonate the ginger ale. Be careful not to shake too hard and set the sliced ginger free. If that happens, you will have a hard time dispensing the ginger ale. It’s ready to drink now, but will improve with a few days of aging. Serve cold!